The essential for every rider, the Oxford Motorcycle Tool Kit is a must have. 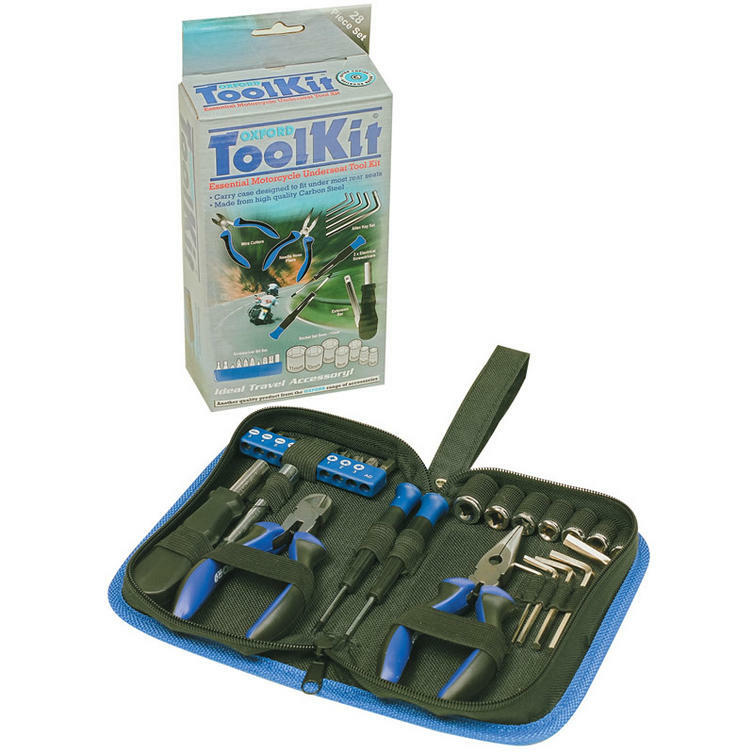 The 28 piece set is made from strong carbon steel and comes in a compact yet strong carry case meaning that this tool kit actually fits under most seats. Make sure you buy yours from Ghost Bikes today! The Oxford Motorcycle Tool Kit is packed with features. The Oxford Motorbike Tool Kit is available in the design shown in the above images.